SGS7 7mm Sideglow cable is a clear solid cable appx. 9/32" Inch OD. 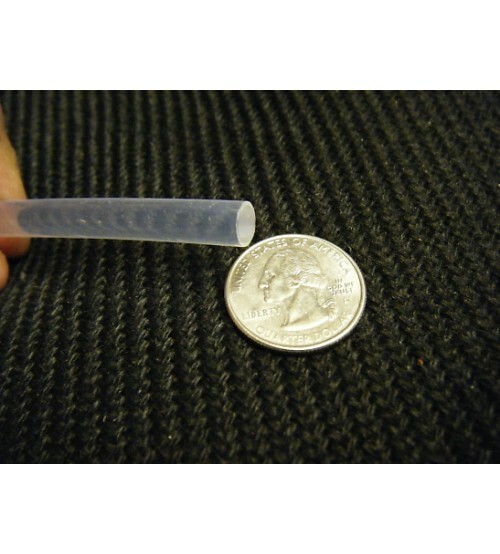 Solid flexible core with thin clear Teflon jacket, cable is much brighter then stranded. Cable will glow approx. 50-80 ft unless looped back to light unit you can get 100-125 ft lighted. Recommended Light units for best light: FOP16 Watt, FOP75 Watt, FOP150-DMX-R, and RGB Flashlight for smaller projects. Bend radius around 4-5 inches. SOLD PER FOOT. Replacement cable for part SWN300, UFO4001.